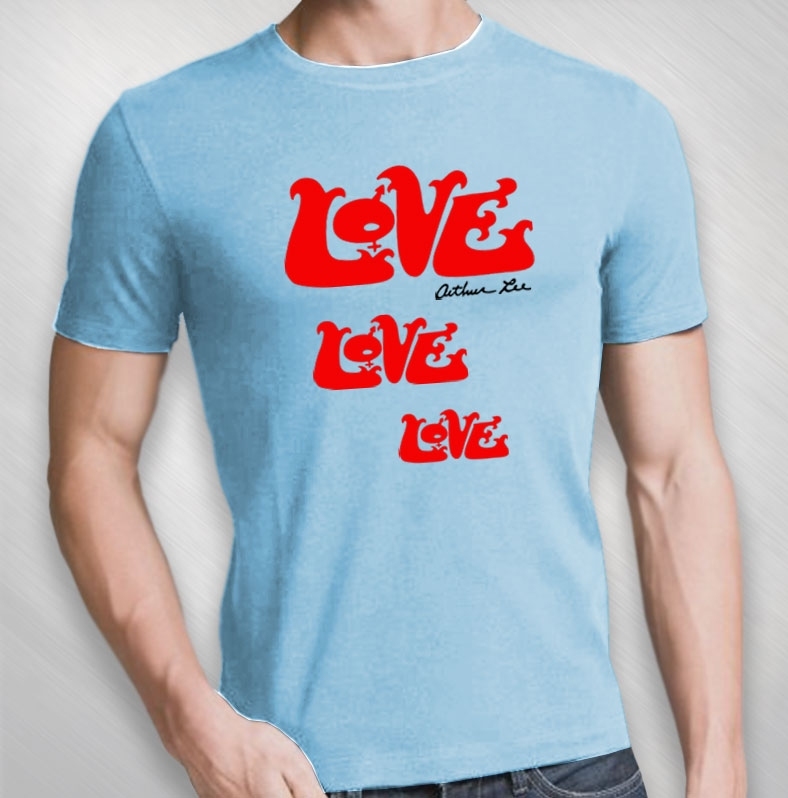 This Baby Blue, 3 LOVE logo Tee with Arthur's signature is the same design as on the Pink Tee ... But .. NOT the same sizing. These are Unisex sizing which means a little larger & longer than ladies sizes but still do not run too large. Made in Los .Angeles, CA by American Apparel of 100 % cotton and are a little thicker than the previous organic cotton Tee's & the fabric does not have as much stretch as the previous organic fabric.